Red Flower Jasper Is A Very Helpful Stone That Overall Assists Everyone. It Increases Energy, Higher Frequency, Stamina And Strength. 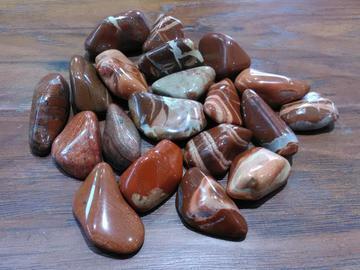 This Stone Is Great To Use When You Are Having Difficulties Making Decisions And Solving Life Problems. It Calms Your Emotions And Aids In Making Rational Decisions. Red Flower Jasper Differs From Red Jasper In That It Assists In Making Things Grow And Blossom.